Finding love and companionship can be a challenging affair, especially if you subscribe to a religion/belief/faith that adheres to a high standard of fidelity when it comes to matters of relationship and marriage partners. If you are experiencing difficulty finding love as a Jew, then worry no more. Today I’ll introduce you to an online dating platform that specifically caters to Jewish dating needs. Established in 1997 JDate.com is an exclusive Jewish dating platform that caters to the needs of Jews singles around the world. It boasts of millions of members and is the top dating site of choice for singles who subscribe to the Jewish faith, though you don’t have to be Jewish to be a member. As highlighted above, you don’t have to be a Jew to sign up at JDate.com, signing up is absolutely FREE for all and you have the option of either signing up via email or social media platform Facebook. Just like many other online dating websites, signing up at JDate is straightforward, you need to sign up by providing the basics (name, gender and gender of your preferred match) then you’ll create an account by providing a unique username and a password and you are set to go. The remainder of the process is about providing your personal details, uploading images and completing your online profile on the platform. If you are the adventurous type, JDate is just the platform for you. As a JDate member, you will get plenty of opportunities to attend or organize adventurous activities and events with other like-minded members. Adventures and events come in the form of trips, hiking, offline meet-ups etc. Some profiles aren’t complete making it hard for interested members to discern the identity and intent of the people behind the profiles hence facilitating cases of religious harassment and other vices. Using JDate is really easy; their web design is appealing and navigable. With the help of the daily matchmaking feature, members can opt to get daily suggestions of like-minded singles based on the information provided and online browsing behavior. However, if you want to search and vet potential mates by yourself, then you have the option to do so by narrowing down your search to specific personality types, characteristics or other leanings by the use of JDate search filter options. With the aid of the JDate mobile app for Android and iOS, you can use JDate even on the go. Additionally, you will find answers/information to frequently asked questions through the FAQ page. Based on my experience with this site, I can definitely recommend it to both the Jews and non-Jews that are seeking a premier platform that offers an unrivaled Jewish dating experience. 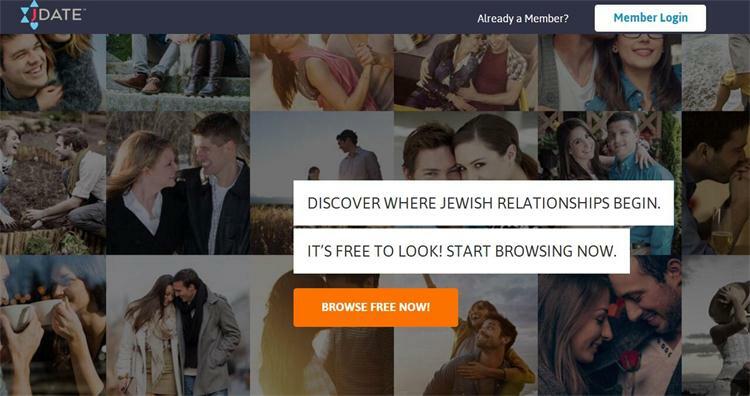 If you are a Jew and religiously subscribe to the Jewish faith and have been actively seeking a platform that will facilitate your finding a Mr./Miss Right that subscribes to similar belief, then look no further JDate is where your long-search should end. That being said, JDate is a site that every individual should try out because over the years, more and more people are embracing cross-cultural and interfaith unions. So let not the fact that you aren’t a Jew deter you from signing up on this platform.